Our mission is to create Accessibility for All. We seek to empower people with disabilities by helping them to live independently with dignity and security. The Consumer Directed Services (CDS) Program allows adults who are 18 years of age and older, with significant physical disabilities, to obtain assistance with personal care and activities of daily living. 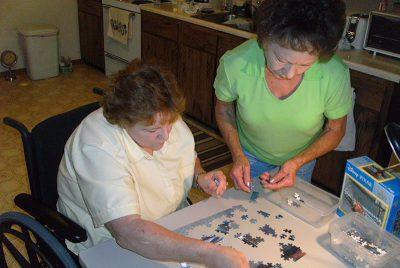 HILC Consumers of independent living receive many program and service supports without cost. Explore our services and find out how we can help with your needs. 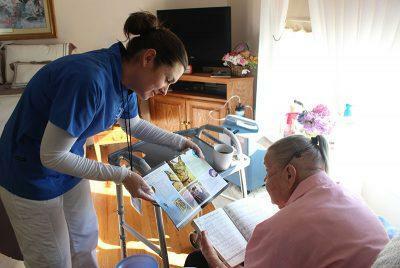 Heartland Independent Living Center greatly appreciates the support we receive from our volunteers and donors. Would you like to get involved or make a donation? Heartland Independent Living Center (HILC) is a non-profit, non-residential organization that serves individuals with disabilities living in Franklin, Gasconade and Maries counties, as well as residents in several surrounding counties in east-central Missouri. Our programs and services assist people to become, or maintain, independence in their own homes through the assistance of a large number of programs and services offered without cost to the consumer. Those programs include, but are not limited to, Consumer Directed Services (CDS), In-Home Care aide services (IHC), adaptive equipment, assistive technology, dental services, the Care Closet, Disability Awareness Education, and the core services of Advocacy, Information & Referral, Independent Living Skills Training, Peer Support and Transition. HILC is one of 22 Centers for Independent Living in the state of Missouri. HILC’s mission is to create "Accessibility for All." We seek to empower people with disabilities by helping them to live independently with dignity and security. Our consumers meet the criteria of the Americans with Disabilities Act, regardless of age or type of disability.